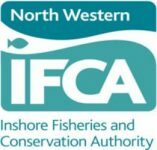 The NWIFCA is to authorise current NWIFCA Byelaw 3 permit holders to gather cockle (size and undersize) from North Penfold from 30th July 2018 to 31st August 2018. Fishing is only authorised during specified tides Monday – Friday (excluding bank holiday Monday). For full details read the Authorisation and HRA available to download below. You must obtain an access permit from Sefton Council to access the fishery. Vehicle permits will not be issued on site and must be in place prior to the cockle fishery opening. No permits will be issued after the 27th July. If you wish to supply documents in advance, contact Gill Burcombe at [email protected] for a vehicle permit application pack. Permits must be collected from the Ainsdale Discovery Centre (address below) between Monday 23rd July – Friday 27th July between the hours of 10:00 and 15:30. You can arrange your permit in person at the Ainsdale Discovery Centre between Monday 23rd July – Friday 27th July between the hours of 10:00 and 15:30. The terms and conditions form and contact information sheet will be available at the office during these times. You must bring your valid vehicle insurance documents and either your NWIFCA Byelaw 3 Permit, NWIFCA Support Worker Permit or GLA Licence in order to be issued with a permit.